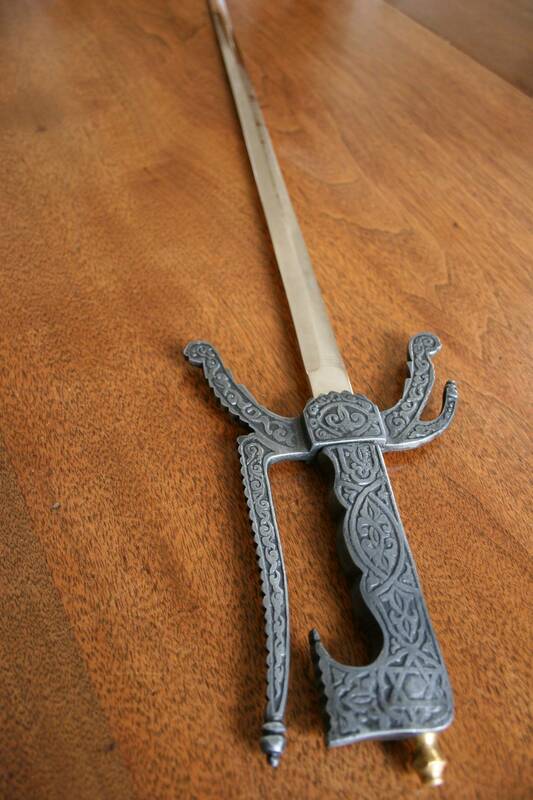 The replica sword my son purchased on an educational trip to Spain. AS THE BOY clad in a cowboy hat walks past, I watch, stunned. He is carrying a shotgun. And he is at the airport. From just feet away, I can see that his gun is clearly a toy. Still, I am surprised that the boy, who appears to be about six, can tote his fake weapon openly among a throng of disembarked passengers at the Minneapolis-St. Paul International Airport Sunday afternoon. A quick glance from afar and someone, anyone, could mistake his replica gun for the real thing. No one seems alarmed, though, except me. My concern is only momentary, however, as I soon focus on my 16-year-old son, who has just arrived from Spain via London and Chicago. We are at the American Airlines baggage claim waiting for his suitcase. That is what I think, until he says we are also waiting for his sword. A sword? What is it with boys and their weapons? He has purchased a souvenir sword that arrives tightly secured in cardboard packaging. I am relieved. I want nothing to do with a sword-swinging teen swaggering through an airport terminal. My security confidence has already been shaken by that gun-toting would-be cowboy. Later, when we arrive home, I find the sword useless as a cutting tool, although certainly capable of impaling someone, anyone. Even though I asked my son not to bring home a gift for me, he did. 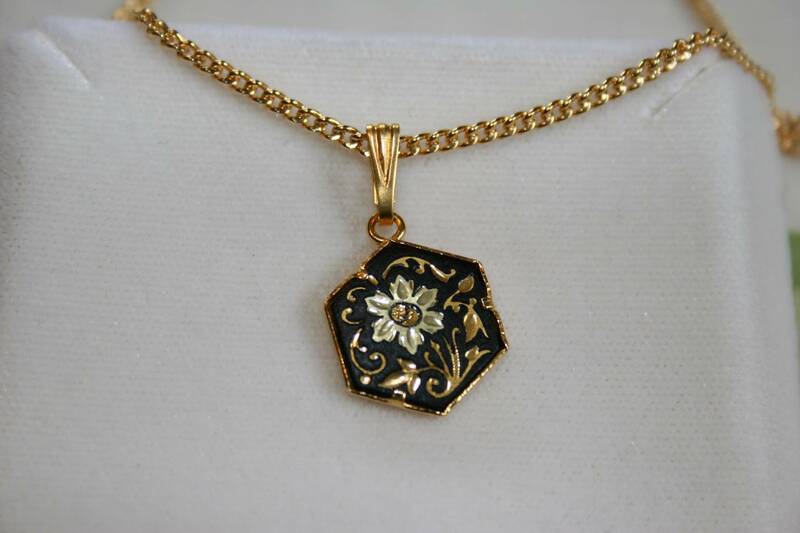 He gave me a 24-carat gold necklace and matching earrings hand crafted in Toledo, Spain. This may have been his redemption for buying that sword. NEARLY 40 YEARS AGO, I broke gender barriers and became the first girl to join the Wabasso High School Future Farmers of America Chapter. No one made a big deal about this achievement, not even me. But now when I think back, my decision to enroll in animal and plant science classes, thus becoming an FFA member, opened the door for WHS girls to join a once exclusively-male organization. By my senior year, nearly a dozen girls had become FFA members. Although I came from a dairy farm, I never intended to become a farmer. I took the agricultural science classes as an alternative to biology, a decision I later regretted. My regrets came on the day of an animal science field trip to a local locker. There we watched the butcher kill and butcher a hog. I remember one of my classmates, John, teasing me relentlessly about possibly fainting during the butchering process. I never fainted; John did. That’s my most memorable memory of FFA. I did nothing else stellar that I can recall, except win an award. A senior yearbook photo shows me holding a plaque, which I think is the Chapter Farmer Scholarship Award. Unfortunately, the academic honor came only with the plaque and no money, which likely explains why I really don’t remember it all that well. But that was 1974 and this is today. Nearly four decades later, I am proud to say that my niece, Hillary Kletscher, presides as president of the Wabasso FFA and is a regional FFA director. She’s done well in soil judging and has also attended state and national FFA conventions. I’m sure she’s done lots more of which I am unaware. Recently, Hillary garnered a national FFA honor for her chapter when the T-shirt she created for the National FFA T-shirt Contest was selected for production and sale in 2010 and 2011. The design beat out hundreds of others to finish in the top 12 and then, finally, in the top six after online voting. The process in creating Wabasso’s winning T-shirt began last spring when students were talking about getting their driver’s license. “Adam Schroepfer (a Wabasso FFAer) brought up the point that he had been driving his tractor since he was little and didn’t need a license and he should just drive that to school. So wa-lah, the theme,” says Hillary. And wa-lah, now the Wabasso FFA Chapter will receive 50 percent of the profits from their T-shirt sales during the first year of sales. So here’s to you, Hillary, and to all the other Wabasso High School girls, past and present, who proved that girls can drive tractors too. 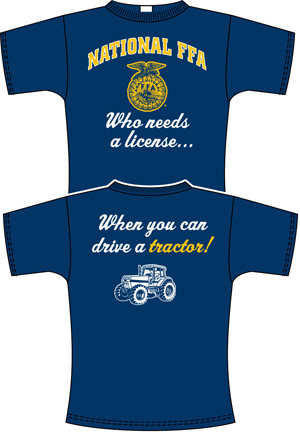 For information about purchasing Wabasso’s winning T-shirt and to view the other top designs, log on to www.ffa.org. COULDN’T ANY REASONABLE mom expect that when her 16-year-old son returns from Europe, he would embrace her before claiming his luggage? Late Sunday afternoon I watch as my teen walks toward me after landing at the Minneapolis-St. Paul International Airport. He has been gone for 10 days on a Faribault High School Spanish class trip to Spain, and I am anticipating his welcoming hug. But as he approaches, getting closer and closer, he suddenly veers to the right, directly for the baggage carousel. I am devastated, especially when I see one girl running into her mother’s arms and my boy running, well not exactly running, the other way. I am momentarily stunned by this unwelcome welcome. Then I take action, seeking him out in baggage claim. We nearly bump heads as I reach up to hug my lanky boy-becoming-man and hold him, only momentarily, close. We are, after all, in public view. He seems more interested in finding his black suitcase among all the other black suitcases and securing his souvenir sword than in seeing either me or his dad. Maybe it’s a boy thing. On the drive home, I am anxious to hear all about my son’s European travels. But I know that with my teen, waiting for him to share information works better than quizzing him. Yet, I ask a few questions. He tells me Toledo was his favorite destination, that America should have a high-speed rail system. I hear bits and pieces, bits and pieces. True to his word, upon our arrival home, this weary traveler accepts the large glass of milk I pour for him. And then he’s into the shower and off to bed. But before my son drifts off, I lean in and gently kiss his forehead before treading quietly down the stairs to wash a mountain of dirty, stinky laundry. So, I figured, in order to maintain family harmony, I would publish Uncle Robin’s rebuttals. However, first I must tell you that my uncle claims to have a mischievous leprechaun, Murphy, who is his fun-loving Irish guardian angel. “Murphy, as his name suggests, is behind everything that goes wrong and he ensures that things go wrong at the worst possible time,” Robin tells me. “However, Murphy is also responsible for everything that goes well or better than expected – and he generates a ‘reward,’ so to speak, for the manner in which adversities are handled. ME: Next, I claimed to have the luck of the Irish because I searched for four-leaf clovers as a kid. ME: I figured since I eat sauerkraut (made from cabbage), that defines me as part Irish on St. Patrick’s Day. Well, Uncle Robin, you’ve certainly disputed any possibility that your 100 percent German niece, me, could ever be Irish. ON THE SOMEHWAT serious side, though, I boasted in my earlier post that Uncle Robin created the drug Femara, which is used to treat breast cancer in postmenopausal women. I mean, not everyone has an uncle who developed a drug that saves lives. I’m proud of him. 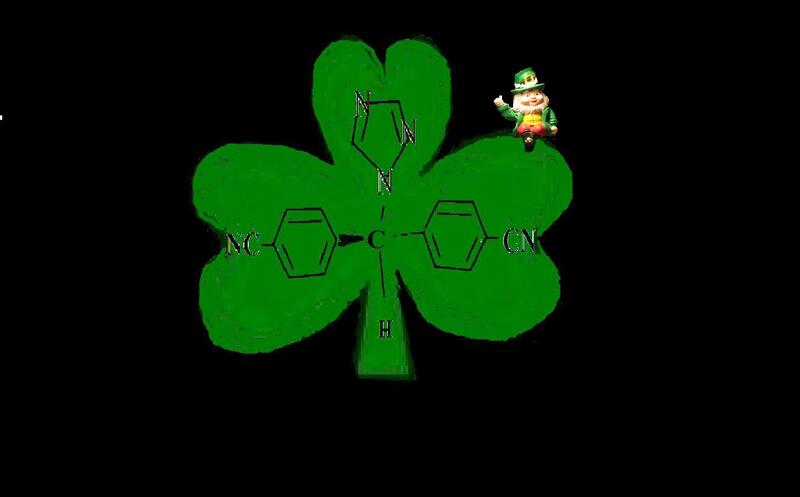 My uncle e-mailed this structure for the drug Femara, embedded in a shamrock. I assume that's Robin's leprechaun, Murphy, posing with his creation. Now, since I am no chemist, like my uncle, I can only assume Robin, ummmm, Murphy, is not pulling some sort of Irish trick on me. The Faribault Dairy Company ages its award-winning Amablu Gorgonzola in St. Peter sandstone caves. FOR A KID who grew up eating only Velveeta and American cheese, I’ve become quite the cheese connoisseur. And apparently I have good taste, because my favorite cheese company recently earned top honors in international cheese competition. 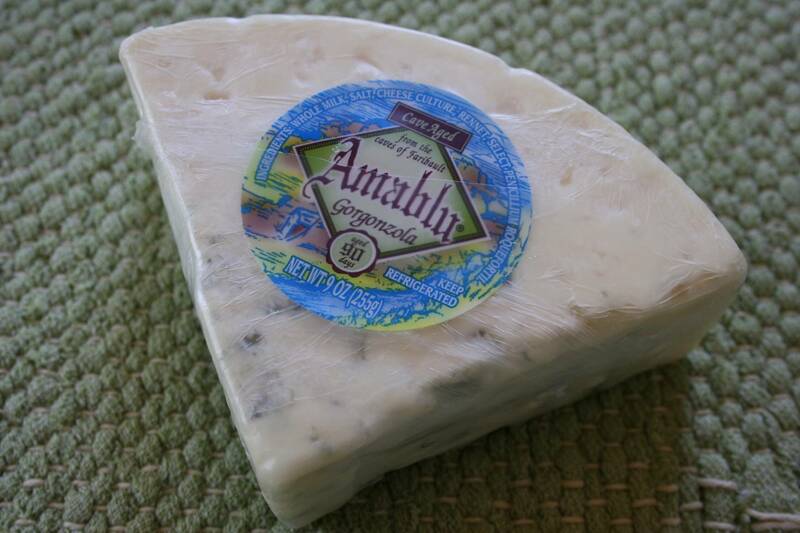 Amablu Gorgonzola, produced by Faribault Dairy Company, Inc., won “Best of Class” at the 2010 World Championship Cheese Contest in Madison, Wisconsin. That’s quite an honor, considering this is the largest international cheese and butter competition in the world. Jeff Jirik beat out 16 other cheesemakers with a score of 99.3 to win the top award in his class. Hook’s Cheese Company, Inc. of Mineral Point, Wisconsin, placed second, with a score of 98.75 for its Dolce Gorgonzola. An employee at the Minnesota company’s retail store, The Cheese Cave, was bragging up the prize-winning cheese this past weekend as she handed out samples to customers, including me. She had every right to be proud. This Gorgonzola, which in 2008 placed fourth in the world contest, is superb. The blue veined Gorgonzola cheese is “sweeter” (less acid) and drier than our blue cheese. Cave aged a minimum of 90 days, the cheese is somewhat sharper in flavor but still “cleans up” well. The sweeter flavor profile pairs up well with dried fruit and nuts or cut as a table dessert cheese. 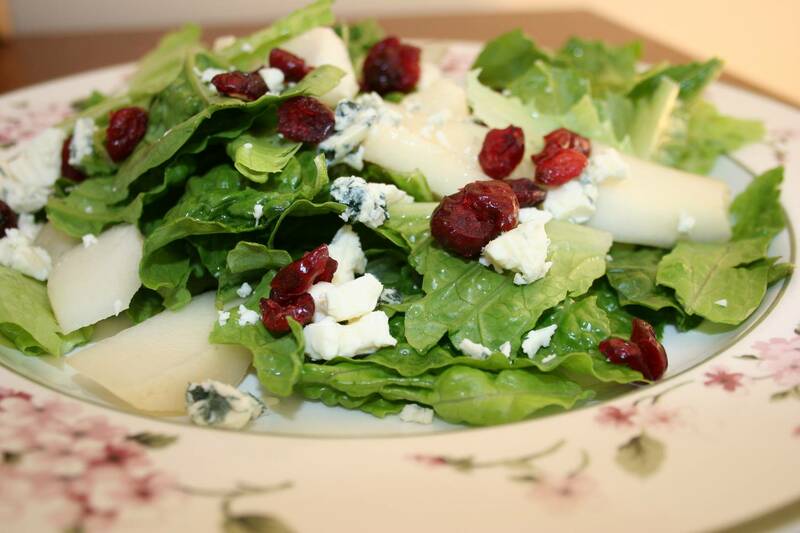 I often add Amablu Gorgonzola to a salad that also includes fresh pears and dried cranberries and sometimes chicken and cashews. I top it with a light raspberry vinaigrette dressing. I agree with that assessment. This is one smooth cheese, which I enjoy on crackers, in a salad or simply sliced and popped into my mouth. If you haven’t checked out The Cheese Cave in historic downtown Faribault, do. There’s no need to cross the border for the best Gorgonzola cheese in the world when you can find it, along with other great cheeses, right here in Minnesota. Faribault Dairy, which has won numerous cheese awards, produces these additional savory cheeses: St. Pete’s Select Blue Cheese and Amablu blue cheese. The company also markets Fini (a Wisconsin cheddar) and St. Mary’s Grass Fed Gouda (a Wisconsin Gouda), both aged in Faribault’s sandstone caves. Another cheese, Grafton Duet Blue and Cheddar, pairs a Vermont cheddar with St. Pete’s Select Blue Cheese. It’s clear, isn’t it, that I’m way beyond Velveeta? 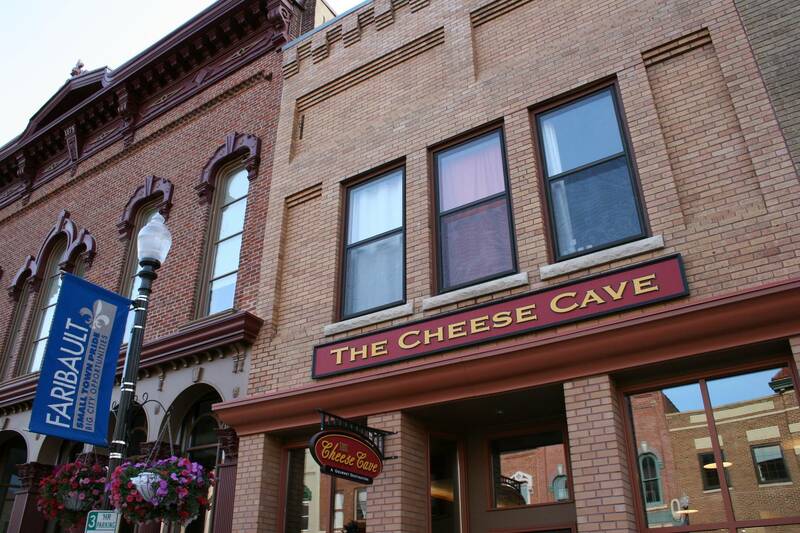 The Cheese Cave is a gourmet destination along Central Avenue in historic downtown Faribault. 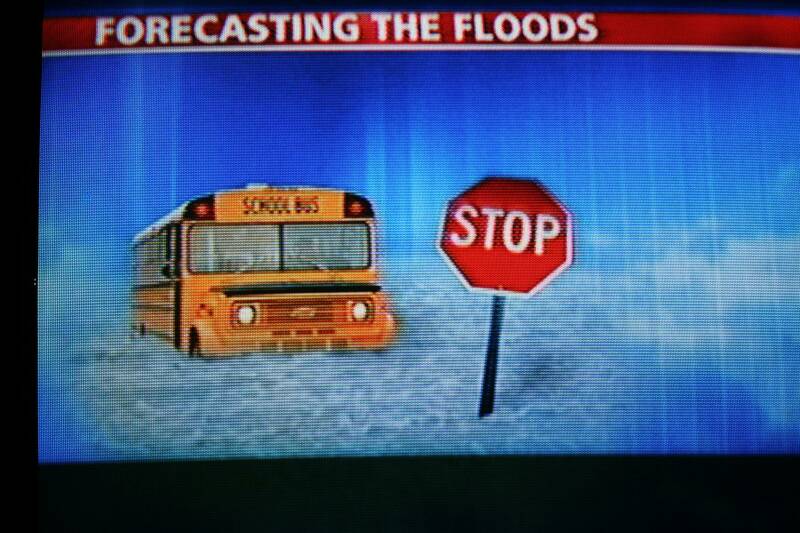 This flood graphic, which has been aired on KSTP TV, is being broadcast nation-wide. See story below. I e-mailed Chief Meteorologist Dave Dahl and he responded immediately. Thanks for the explanation, Dave. I owe you an apology. I thought you created your own illustrations, and I was wrong to assume that. Journalism 101. Remember, stay off flooded roadways, whether in a car, truck, van or bus. TULIPS ARE POPPING through the cold, black soil. Farmers are working the ground, at least in Goodhue County. 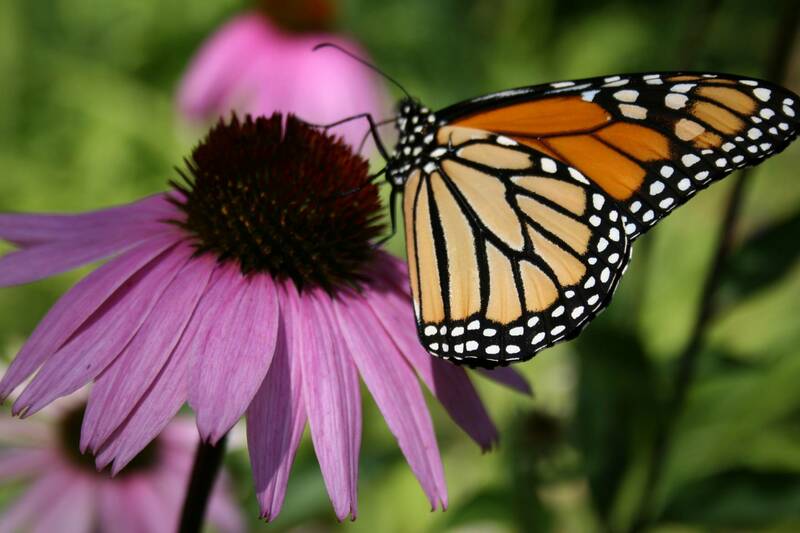 And, in Faribault, a butterfly was spotted yesterday. If you’re questioning the truthfulness of that last statement, I wouldn’t blame you. Butterflies in Minnesota in March, yeah right? But, I am telling the honest-to-goodness truth. While preparing lunch yesterday, I glanced out my kitchen window and saw a butterfly perched upon the sun-drenched, leaf-matted hillside. Only weeks ago several feet of snow covered this hill. I could hardly believe my eyes when I saw the monarch-sized, dark brown butterfly resting there. And just to prove to myself, and you, that I wasn’t imagining things, I dashed for my camera. But I was too late. From the time it took me to grab my camera and race outside, the butterfly had flitted away. So…, you’ll simply need to take my word for it that I really did see a butterfly in Faribault, Minnesota, on March 23. That’s the earliest date ever that I’ve spotted a butterfly in Minnesota. A monarch photographed in my garden last summer. IF ANY OF YOU readers have seen a butterfly already (in Minnesota), I’d love to hear from you. Maybe this sighting isn’t as unusual as I think.